Friedrichs v. California Teachers Association. The Becket Fund for Religious Liberty (n.d.). Retrieved from https://www.becketlaw.org/case/friedrichs-v-california-teachers-association/. Friedrichs v. California Teachers Association. (Apr. 04, 2019). https://www.becketlaw.org/case/friedrichs-v-california-teachers-association/. "Friedrichs v. California Teachers Association." The Becket Fund for Religious Liberty. Accessed [Apr. 04, 2019]. https://www.becketlaw.org/case/friedrichs-v-california-teachers-association/. The state of California has been forcing religious objectors to speak. Religious groups like the Christian Educators Association International (CEAI) and members of the Seventh-day Adventist Church have been forced to either pay trade union dues or pay equivalent fees to one of the three union-approved “nonreligious, nonlabor” charities. The end result is that religious objectors are forced by the state government to fund either the union or the predetermined set of charities. CEAI has sued the California Teachers Association (CTA) asserting that the state is using its power to coerce religious objectors to support speech they do not agree with. 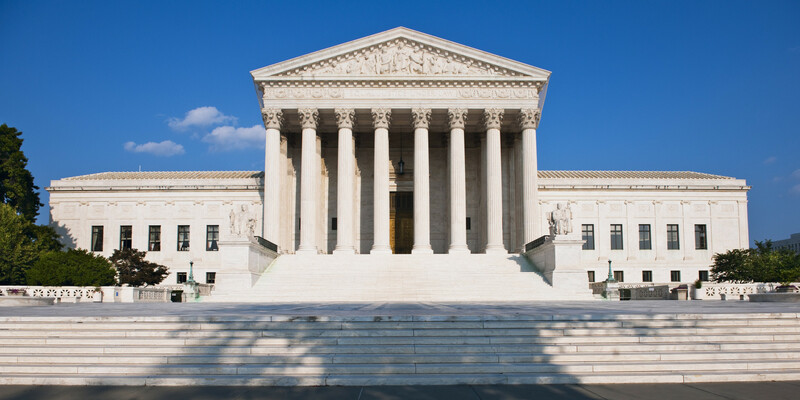 Becket joined the fight at the Supreme Court with a friend-of-the-court brief arguing that government coercion of religious objectors should not be excused simply because the coercion is taking place through separate avenues such as the collective bargaining agreement. When someone funnels illicit funds through a third party it’s called money laundering, when the government tries to use one person to control another person it’s called coercion laundering. Jones Day and the Center for Individual Rights represented the religious groups.